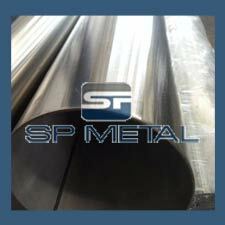 SP Metal., we carry a full inventory of ASTM A213 TP317L Stainless Steel Pipe and Supply A213 TP317L Stainless Steel Pipe austenitic chromium-nickel stainless steel pipe suitable for corrosive or high-temperature service, or both, or for general applications. 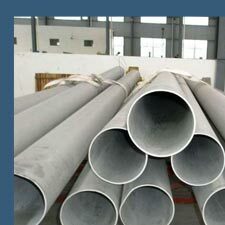 We are Manufacturer and Suppliers of Stainless Steel TP 317 Square pipe. 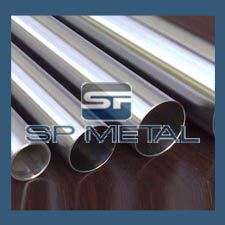 SP Metal is India's 5th largest Stockholder of JIS SUS 317 pipe, SS 317 class pipe, 317 Stainless Steel Hydraulic Pipe. 317 Stainless Steel Pipe is a balanced austentic Steel which is widely applied and versatile in wide spectrum of products, finishes and forgings. The chemical composition, weldability, oxidation, mechanical properties and corrosion resistance allows this austentic steel to perform better at relatively low cost. The austentic steel performs well to hardening by cold work. SP Metal is committed to upgrade the capabilities of its technical and administrative staff through formal training and continuous technical quality awareness. Our all ASTM A312 TP317 Stainless Steel Pipe are tested in accordance to internationally recognized standards or our own more stringent internal test procedures, which is developed considering the harsh field conditions. In addition to this we also offer specific testing to our client’s requirement. We can meet most ASME, ASTM, and other specifications, and can cross-reference to most international standards, including full 3.1/3.2 Certifcation and NACE requirements. In order to guarantee these standards, we are certified in accordance with the strict guidelines of ISO 9001:2008. 317L is a molybdenum bearing, low carbon content "L" grade austenitic stainless steel that provides improved corrosion resistance over 304L and 316L stainless steels. The low carbon provides resistance to sensitization during welding and other thermal processes. 317L is non-magnetic in the annealed condition but may become slightly magnetic as a result of welding. 317L has excellent corrosion resistance in a wide range of chemicals, especially in acidic chloride environments such as those encountered in pulp and paper mills. Increased levels of chromium, nickel and molybdenum compared to 316L stainless steel improve resistance to chloride pitting and general corrosion. Resistance increases with molybdenum alloy content. 317L is resistant to sulfuric acid concentrations up to 5 percent at temperatures as high as 120°F (49°C). At temperatures under 100°F (38°C) this alloy has excellent resistance to solutions of higher concentration. However, service tests are recommended to account for the affects of specific operating conditions that may affect corrosion behavior. In processes where condensation of sulfur-bearing gases occurs, 317L is much more resistant to attack at the point of condensation than conventional alloy 316. The acid concentration has a marked influence on the rate of attack in such environments and should be carefully determined by service tests. Test Certificate Manufacturer Test Certificate/ Laboratory Test Certificate from Govt. Approved Lab. Some thin wall Pipe up to 25.40 mm (1.000″) can be supplied. 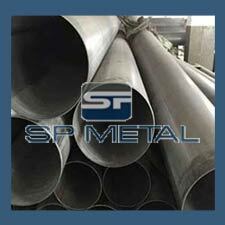 We are Manufacturers & Suppliers of Thin wall stainless steel 317 pipe in India. Looking for trusted dealer & distributor for Thin wall stainless steel 317 pipe in India? Information for those interested in buying Thin wall stainless steel 317 pipe. India’s Largest stockholder of SS 317 Thin wall Pipe offer best price in India. We are Manufacturers & Suppliers of ASTM A312 TP317 Stainless Steel Polished Pipe in India. Looking for trusted dealer & distributor for ASTM A312 TP317 Stainless Steel Polished Pipe in India? Information for those interested in buying 317 Stainless Steel Polished Pipe. India’s Largest stockholder of SS 317 Polished Pipe offer best price in India. We are Manufacturers & Suppliers of ASTM A312 TP317 Stainless Steel Decorative Pipe in India. Looking for trusted dealer & distributor for 317 Stainless Steel Decorative Pipe in India? Information for those interested in buying Stainless Steel 317Decorative Pipe. India’s Largest stockholder of 317 SS Decorative Pipe offer best price in India. Sanghvi Enterprisecan provide production cutting for product diameters up to 4″. We utilize Amada Production Equipment to achieve these precision cuts with tight tolerances. Range of ASTM A312 TP317 Stainless Steel Pipe according to ANSI/ASME 36.19M - Stainless Steel Pipe. ASTM A312 TP317 Stainless Steel Pipe as per #4 Polish, #6 Polish, #7 Polish or a #8 mirror finish. Stainless steel polished pipes can also be cut to size. Bevel ASTM A312 TP317 Stainless Steel Pipe to prepare for welding or other processes. Hone pipe, using a precision abrasion process in order to obtain a desired finish or close dimensional tolerance. PMI testing in house for most stainless steel grades, or we can work with independent labs to complete PMI in order to meet customer specifications. In some cases, UT testing of the stainless steel pipe may be required. We can assist you with this requirement. 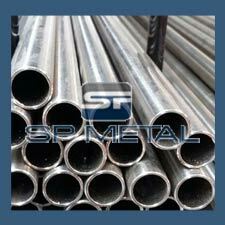 Above table represents that we keep in stock 317 Stainless Steel Pipe, SS 317 in form of Pipe. Other sizes can be made available on request. High oxidation-resistance in air at ambient temperature is normally achieved with additions of a minimum of 13% (by weight) chromium, and up to 26% is used for harsh environments. The chromium forms a passivation layer of chromium(III) oxide (Cr2O3) when exposed to oxygen. The layer is too thin to be visible, and the metal remains lustrous. The layer is impervious to water and air, protecting the metal beneath. Also, this layer quickly reforms when the surface is scratched. This phenomenon is called passivation and is seen in other metals, such as aluminium and titanium. Corrosion-resistance can be adversely affected if the component is used in a non-oxygenated environment, a typical example being underwater keel bolts buried in timber. When stainless steel parts such as nuts and bolts are forced together, the oxide layer can be scraped off, causing the parts to weld together. When disassembled, the welded material may be torn and pitted, an effect known as galling. This destructive galling can be best avoided by the use of dissimilar materials for the parts forced together, for example bronze and stainless steel, or even different types of stainless steels (martensitic against austenitic), when metal-to-metal wear is a concern. Nitronic alloys reduce the tendency to gall through selective alloying with manganese and nitrogen. In addition, threaded joints may be lubricated to prevent galling. Stainless steel™s resistance to corrosion and staining, low maintenance, relatively low cost, and familiar lustre make it an ideal material for many applications. There are over 150 grades of stainless steel, of which fifteen are most commonly used. The alloy is milled into coils, sheets, plates, bars, wire, and tubing to be used in cookware, cutlery, hardware, surgical instruments, major appliances, industrial equipment (for example, in sugar refineries) and as an automotive and aerospace structural alloy and construction material in large buildings. Storage tanks and tankers used to transport orange juice and other food are often made of stainless steel, due to its corrosion resistance and antibacterial properties. This also influences its use in commercial kitchens and food processing plants, as it can be steam-cleaned and sterilized and does not need paint or other surface finishes. Stainless steel is used for jewellery and watches with 316L being the type commonly used for such applications. It can be re-finished by any jeweler and will not oxidize or turn black. Some firearms incorporate stainless steel components as an alternative to blued or parkerized steel. Some handgun models, such as the Smith & Wesson Model 60 and the Colt M1911 pistol, can be made entirely from stainless steel. This gives a high-luster finish similar in appearance to nickel plating. Unlike plating, the finish is not subject to flaking, peeling, wear-off due to rubbing (as when repeatedly removed from a holster), or rust when scratched. Some automotive manufacturers use stainless steel as decorative highlights in their vehicles. Stainless steel is 100% recyclable. An average stainless steel object is composed of about 60% recycled material of which approximately 40% originates from end-of-life products and about 60% comes from manufacturing processes. There is a secondary market that recycles usable scrap for many stainless steel markets. The product is mostly coil, sheet and blanks. This material is purchased at a less-than-prime price and sold to commercial quality stampers and sheet metal houses. The material may have scratches, pits and dents but is made to the current specifications. Purpose built factory and warehouse with in house facilities allowing fast turnaround. Copyright © 2013 SP Metal (Manufacturer & Stockist in India). All Rights Reserved.